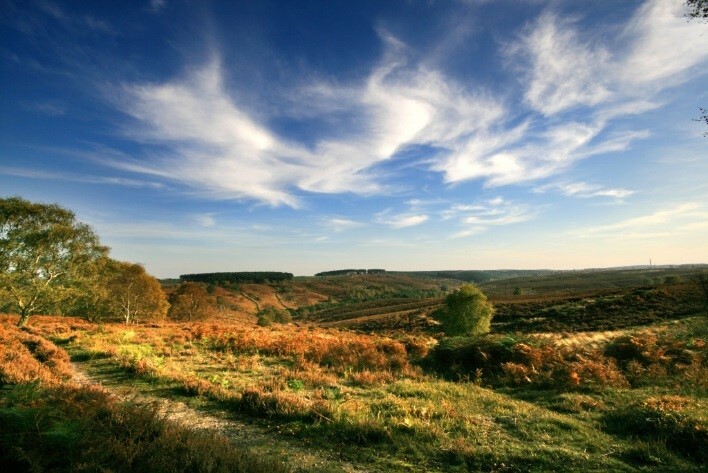 Cannock Chase Area of Outstanding Natural Beauty is a nationally and internationally important landscape. It was designated as an Area of Outstanding Natural Beauty (AONB) in 1958 under the National Parks and Access to the Countryside Act 1949, one of only 46 areas to be given this recognition in the UK. It is designated primarily for its natural beauty, while its wildlife, and historic and cultural significance underpin the beauty of the landscape. The AONB’s Joint Committee has responsibility to produce a Management Plan as required by Section 89 of the Countryside and Rights of Way Act (CRoW) 2000 and to ensure it is reviewed every five years. A new Management Plan is being prepared by the Cannock Chase AONB Partnership, working on behalf of the area's 5 local authorities. The Plan will be in place from April 2019 to March 2024. The drafting of the Plan has been informed by discussions and workshops held with many stakeholders and partners during 2017 and 2018. In line with the Strategic Environmental Assessment Directive and Habitat Regulations a Strategic Environmental Assessment (SEA) Report and Habitats Regulations Assessment have been carried out to support the Management Plan Review. The State of the AONB Report provides the evidence base to underpin the new AONB Management Plan. The Story Map of the Report is accessible here. Now we want to know what you think of the draft Plan. Between 9th November 2018 and 11th January 2019 we will be collecting your feedback on Draft Cannock Chase AONB Management Plan 2019-2024. The area's character, 'Special Qualities' - have we identified what makes the area distinctive and special to you? What needs to be done - have we identified the right policies and actions that would most benefit the landscape and its communities over the coming 5 years? The easiest way to provide feedback is to view or download an electronic copy of the Draft Management Plan and two supporting statutory assessments - the Screening Report and the Environmental Report - and submit your comments using the online questionnaire at the bottom of this page. Cannock Chase Area of Outstanding Natural Beauty Consultation, c/o Staffordshire County Council, Staffordshire Place 2, Tipping Street, Stafford, ST16 2DH. You can also download the questionnaire here. A report will be produced outlining the responses received and how these will be addressed and a revised Management Plan for 2019-2024 will be prepared. Both will be put forward for approval at the Cannock Chase Joint Committee meeting in early 2019. Following adoption of the Plan by the area's 5 local authorities, the new Plan will be published in April 2019.